Get more from your codec: Bridge traditional videoconferencing equipment into USB-based conferencing applications such as Skype for Business, Google Hangouts, or Zoom. Make your camera a conferencing camera: OneLINK Bridge connects a non-USB camera and audio source, and bridges to a USB stream for easy connection to USB-based conferencing applications. You get traditional videoconferencing audio quality with soft-client connectivity – and without the traditional videoconferencing price tag. Sounds complicated – but it's not. 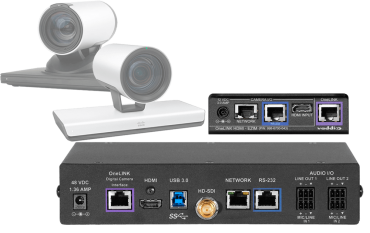 Tailored for Cisco codec systems and compatible with many Cisco Precision series cameras, this OneLINK Bridge kit simplifies installation by extending power, video and control to your camera over a single Cat-5e cable up to 328 ft (100m). 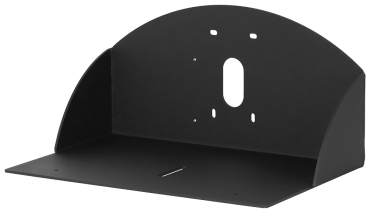 When connecting a Cisco Precision 40 or PrecisionHD 1080p2.5x camera to a OneLINK Bridge, you will need to provide a Cisco CAB-PHD4XS2-SPLIT cable. When connecting a Cisco SX20 codec to a OneLINK Bridge, you will need to provide the same Cisco CAB-PHD4XS2-SPLIT cable.